A Hawick teenager has been accused of sexually assaulting four females with a pool cue. The 17-year-old, who cannot be named for legal reasons, is charged with striking them between the legs with the pool cue. He faces a fifth charge of assaulting one of the females by grabbing her around the neck in a headlock and pulling her onto his bed. All those alleged offences are said to have been committed at a house in Burnfoot in Hawick between June 1 and November 11. 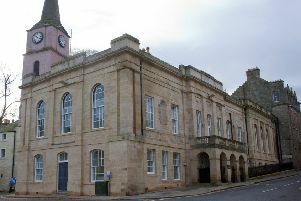 The teenager pleaded not guilty at Jedburgh Sheriff Court to all five charges. He was released on bail with the special condition that he is not to contact seven named females. A trial date has been fixed for March 5, with an intermediate hearing on February 19.